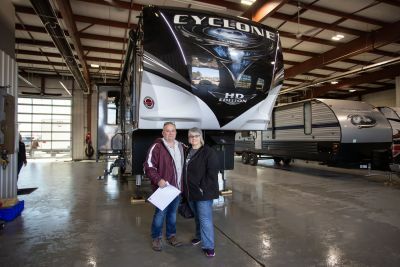 Take the family out on an adventure with this New 2019 Heartland Cyclone 4115! 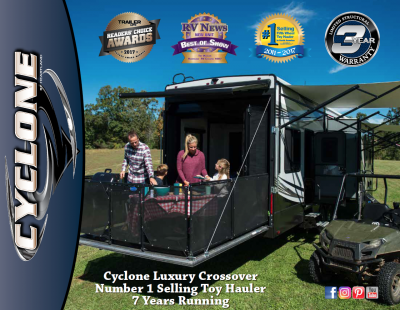 At Lakeshore RV Center, we have the nation's lowest price on 2019 5th Wheel Toy Hauler RVs and all other Toy Hauler models! That's why we're the #1 Michigan RV Dealer! If you have any questions, call us at 231-788-2040 or visit 4500 E Apple Ave Muskegon Michigan 49442 to find your dream Cyclone! 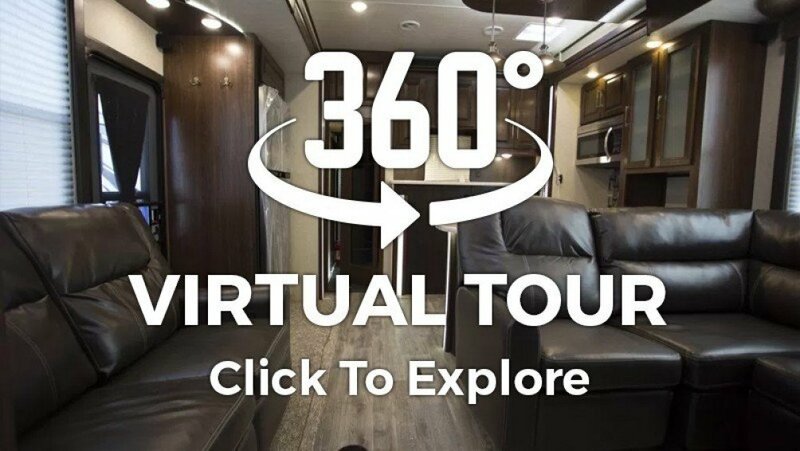 You'll be able to stretch out and walk around freely inside this 44' 0" long, 8' 5" wide, and 15' 1" high RV! With 2 slides, you can enjoy even more space in the interior! The temperature inside stays cozy and controlled against any weather, thanks to the reliable 15000 BTU a/c and 35000 BTU furnace! There are enough cozy sleeping accommodations in this RV to sleep up to 6 people. Among them is the King bed in the master bedroom, where you and your partner can drift off to sleep with ease, no matter where you travel to! Need a break from the campfire snacks and trail mix? Are you savoring a real, nutritious meal? Cooking up a hearty dish for the family is easy in the kitchen, with its array of modern appliances! There is a 18.00 cu. ft. refrigerator, 3 burner range cooktop, and more! Fill up the 100 gallon freshwater tank for loads of clean, refreshing water on your trip! You can't always control when you need to go, so wouldn't you want your own private bathroom from the convenience of your camper? 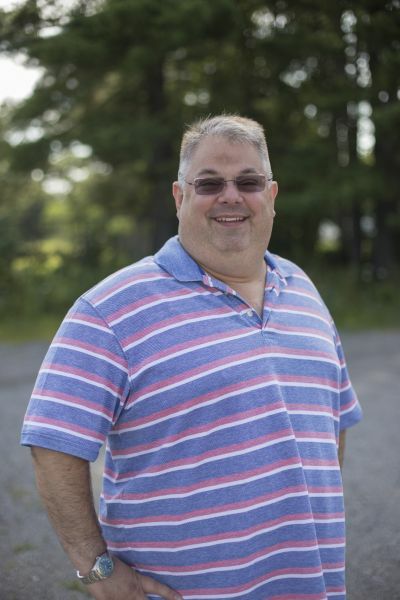 You can avoid long trips to the communal restroom with this RV's full bathroom, which features a Porcelain Foot Flush toilet and a spacious shower. There are no worries of running out of hot water with 60 lbs. of LP tank capacity! The used water and waste are stored discreetly in the 80 gallon gray water tank and the 80 gallon black water tank, so you don't have to see or smell it while you're having fun camping! 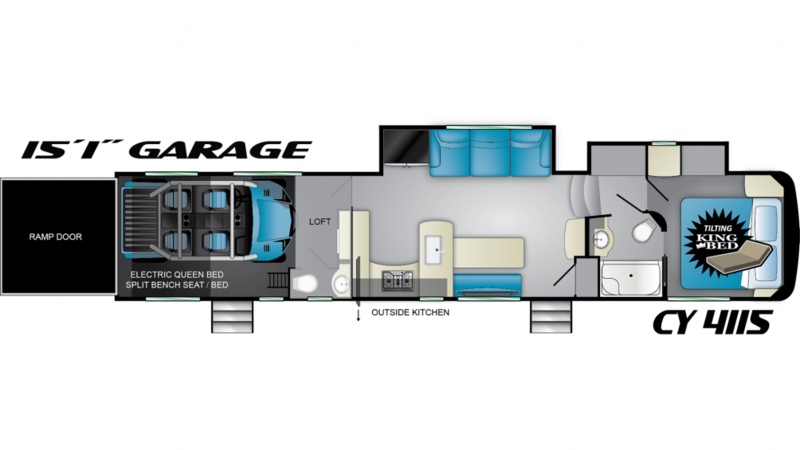 The 15' 1" long garage is perfect for large toys and storage, especially with this toy hauler's cargo capacity of lbs! Treat yourself and your family to some tasty snacks, meals, and cold drinks while you're spending time outside! There is an outdoor kitchen and it makes picnics and cookouts easy and delicious! 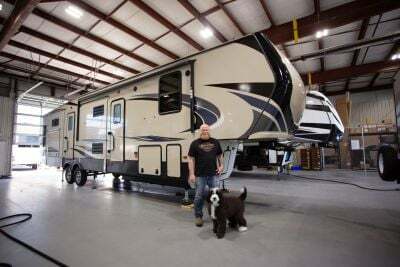 No waiting for the bathroom in the 2019 Heartland Cyclone 4115 because it comes with a half bathroom in addition to the master bathroom! Both have a Porcelain Foot Flush toilet for sanitary convenience. Bring your family, bring your friends, there's room for everyone in this Heartland Cyclone, especially at night when it's time for bed. The loft provides a comfy and warm sleeping space that the kids will love!